After the Microsoft Visual Studio 2010 – COM Port and Creating a Database in Microsoft Visual Studio 2010 tutorial, here’s my next tutorial on VB.net. 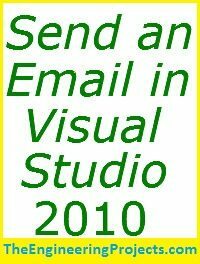 As the name suggests, this tutorial is about sending an Email through Visual Studio. 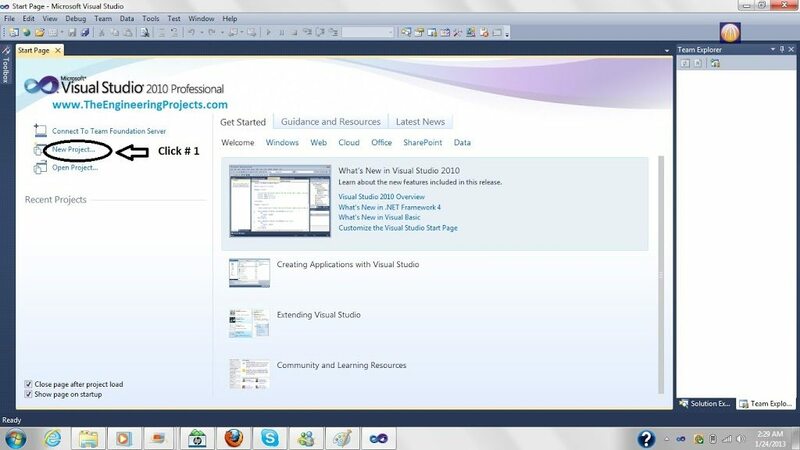 Again I will use Microsoft Visual Studio 2010 and the language will be Visual Basic for this tutorial. 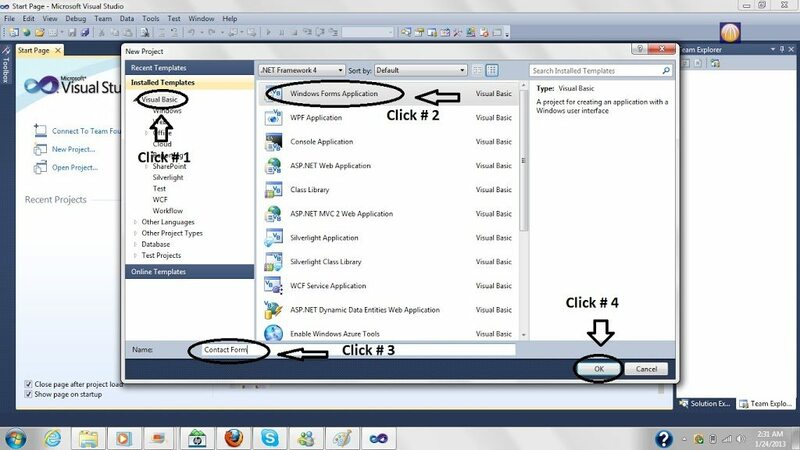 Now select Visual Basic from the Installed Templates and then Windows Form Applications. Give your project some name and then click on OK.
Now it will redirect you to your form. Add one button in your form and rename it to Send Email and change the Name of the button to SendEmail. Now move into the code section of your application and remove everything and paste the below code into it. Now make few changes in it. Email1 is the email whom you wanna send the email. Email2 is your email from which the mail will be sent. Password is the password of your email i.e. email2. SmtpClient and SmtpPort are different for different email providers.The above mentioned are only for Gmail.If you search a little you can easily find these for Hotmail and yahoo etc. If someone needs this software along with complete code, kindly subscribe to our newsletter and post your email in the comments. i really look forward to seeing this work thanks.